Yum! 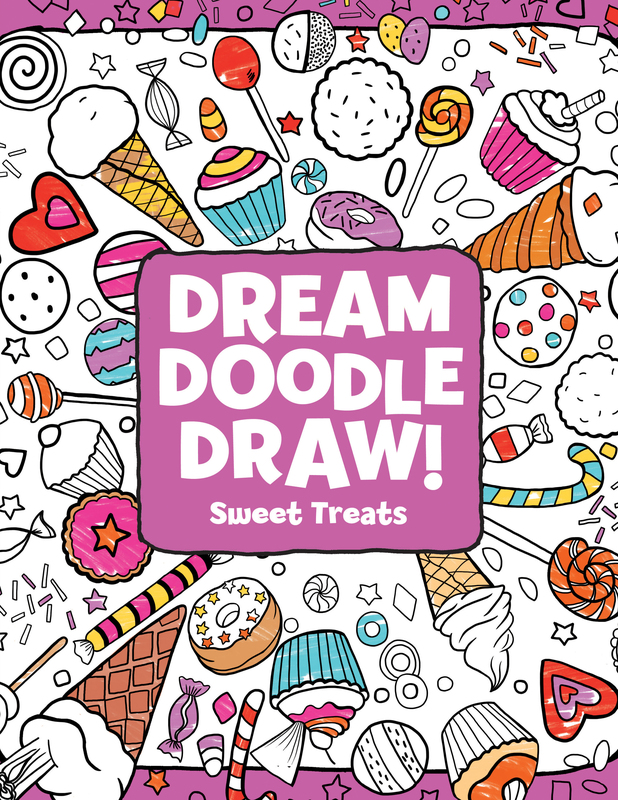 This treat-themed deluxe doodle book is filled with coloring and activity pages perfect for the youngest artists! Get ready to stir, bake, and decorate some yummy sweet treats! Filled with cupcakes, cookies, ice cream, and more, this unique black-line doodle book with a glittery, glossy cover contains fun prompts and coloring pages to inspire the artist within! Color images, add to a scene, draw designs, and more! Julie Ingham produces designs and illustrations for fashion, books, stationery, and tableware around the world. She is inspired by intricate patterns and works hard to make each of her illustrations unique and exciting. Julie loves to draw at her home by the sea in the south of England. You can visit her at DesignByJulieIngham.co.uk/.